Completed Spec Home! !.Don't miss this beautiful Single Level Home with 3-Car Tandem Garage and Attached16' x 40' RV Garage with 14 ft Ceiling(RV Garage Door is 12' x 12'')12 ft Double Gate & 10' x 10' garage door at rear of RV Garage. Bring all your toys! 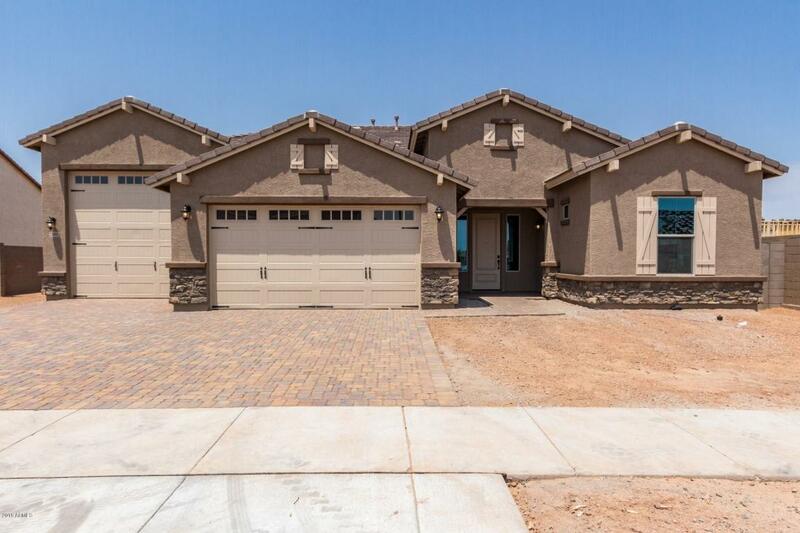 !This home features a Gourmet Kitchen with Quartz Countertops, White 42'' Cabinets, Gas Cooktop, Double Wall Ovens, Stainless Steel Appliances and expansive tile areas. All homes in this community are single level!